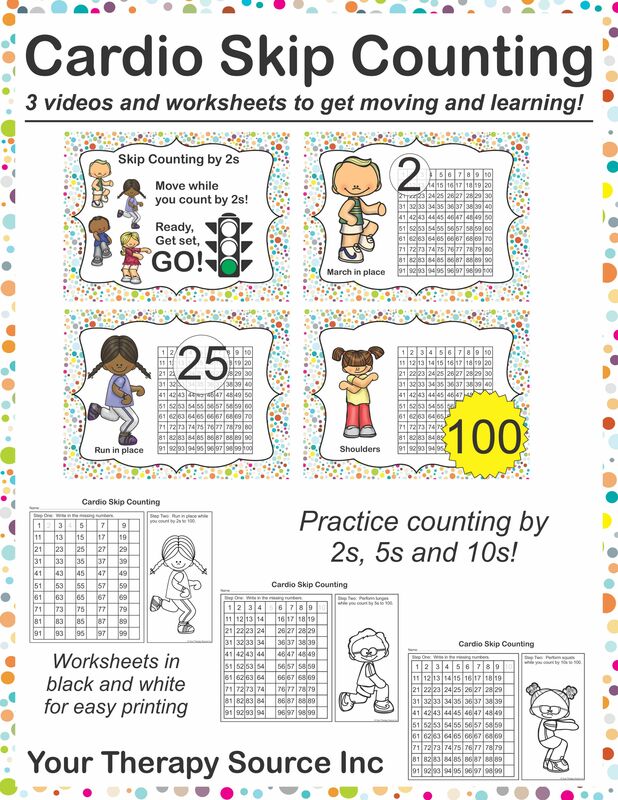 Cardio Skip Counting digital download includes 3 videos and worksheets to get moving and working out while practicing skip counting by 2s, 5s and 10s to 100. Each video takes the students through skip counting while performing different aerobic exercises such as marching in place, running in place, cross crawls, trunk twists, lunges, squats and more! All you have to do is open the Powerpoint Presentation or the video files and select the movie you want to play. 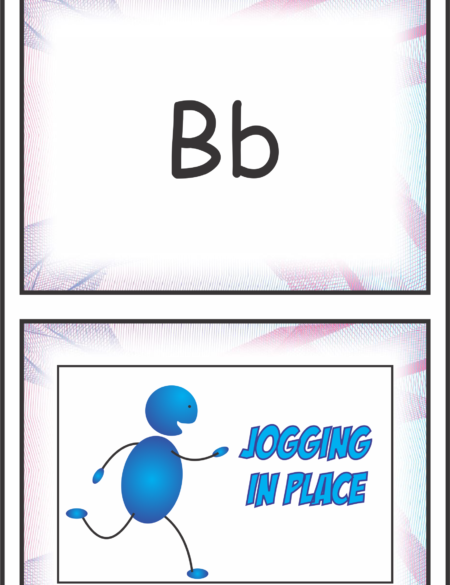 The worksheets include number writing practice and an aerobic activity. The students have to write in the missing numbers and then perform an exercise while counting to 100 by 2s, 5s or 10s. 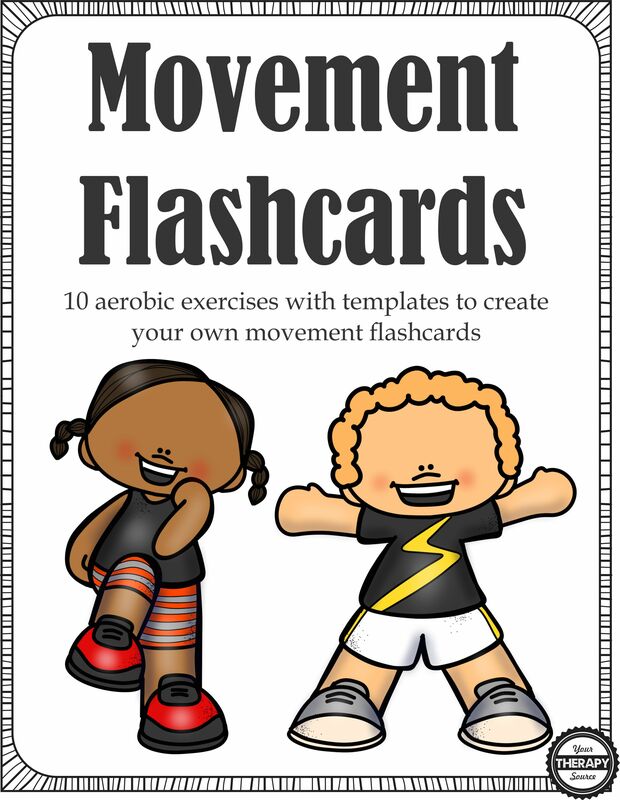 This is a super easy, NO PREP, activity to incorporate movement and learning in the classroom. The cardio activities are all completed in place, therefore you do not need a large space. You could even perform the movements in sitting – just march in sitting, run in sitting, etc. 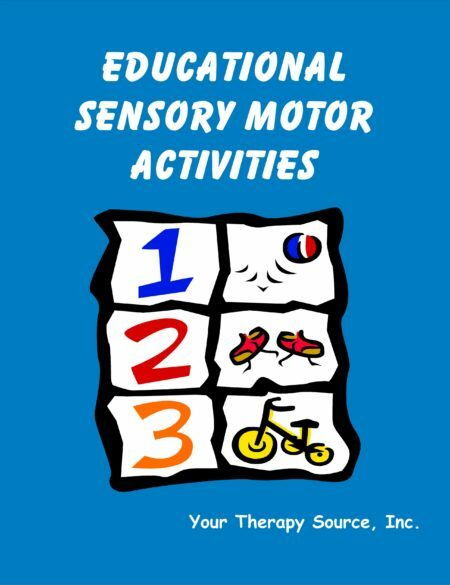 Not only does this activity add aerobic exercise to skip counting it requires coordination to count and move at the same time in sync with the video. These are large files so it may take some time to download. You will receive a link to download the videos, worksheets and PowerPoint show immediately following payment. TIP: You may want to review the each exercise before you start the video. The exercises include marching in place, running in place, cross crawls (right hand to left knee then left hand to right knee), trunk twists (arms at shoulder height reaching both hands to the left and then both hands to the right), lunges, squats and head, shoulders, knees and toes sequence. Need more number writing practice? 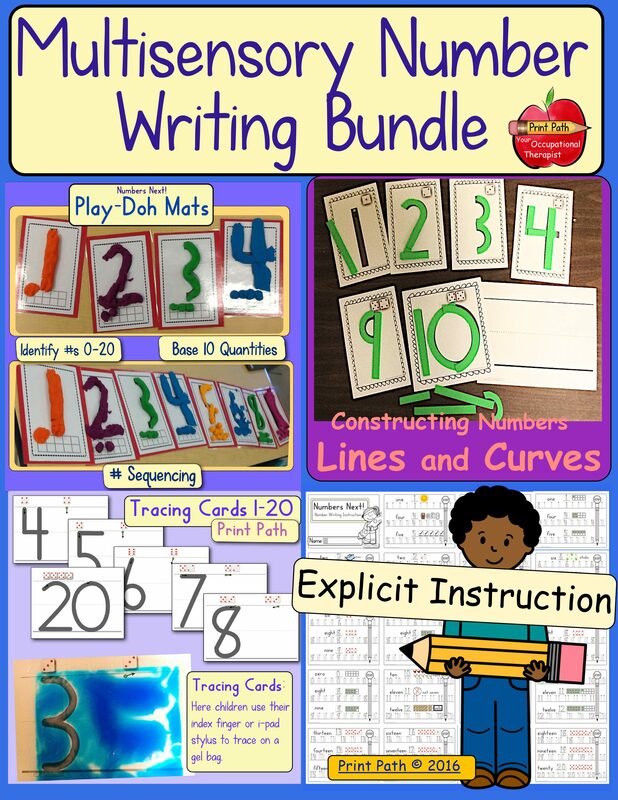 Check out Multisensory Number Writing Bundle.